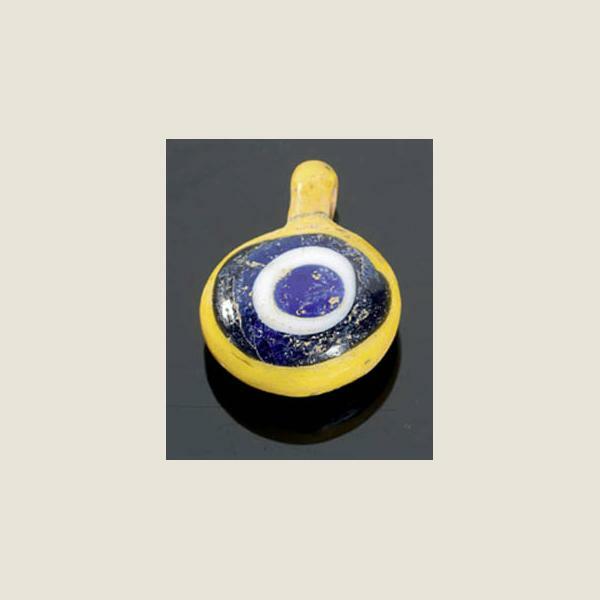 Gorgeous Ancient Egyptian glass bead. 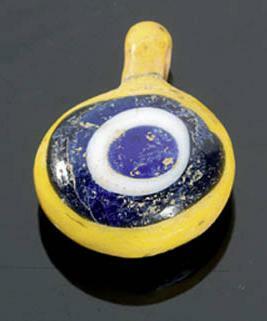 Yellow blue and white opaque glass. Available individually or in pairs for $500. Well adapted for earrings.